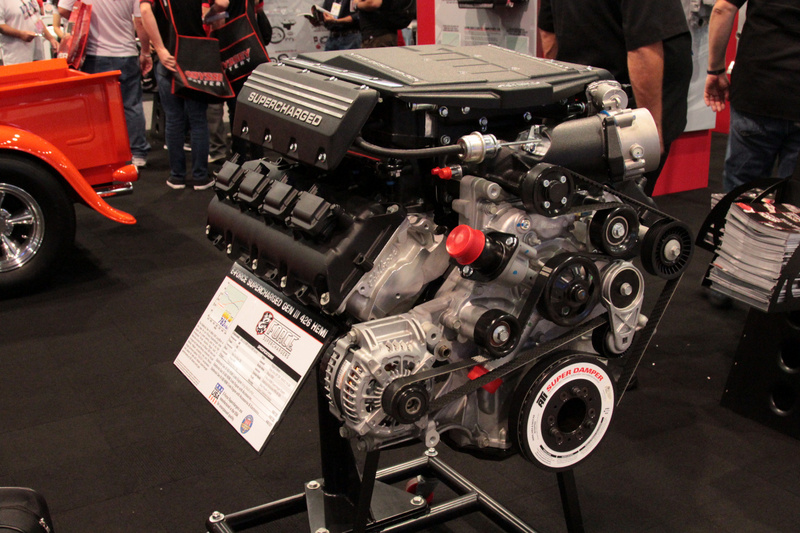 A few passes through the aisles at SEMA, and you’ve got to keep your eyes peeled for the latest hot parts for our beloved Mopars. 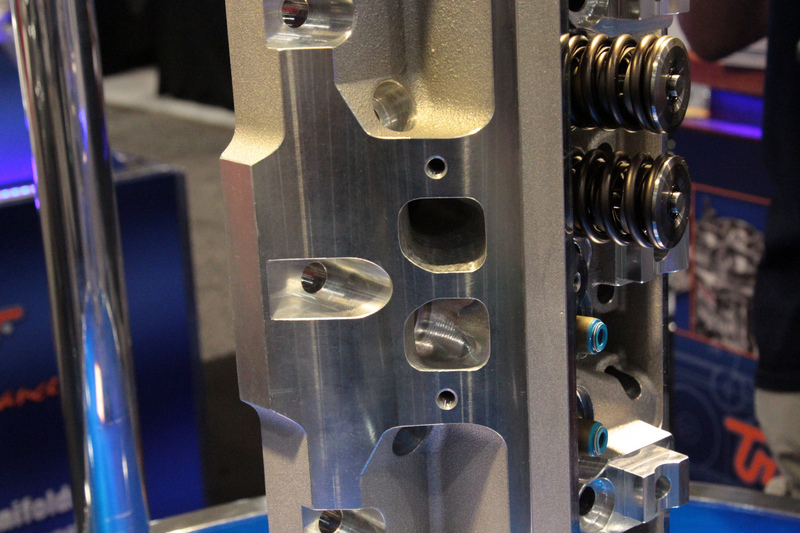 If you didn’t pay attention, you would definitely miss some of the cool new products that some vendors had in their booths. 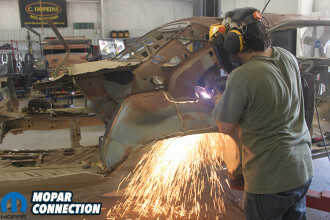 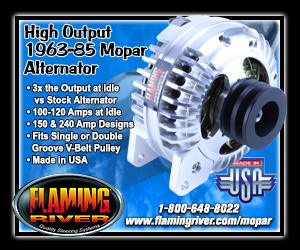 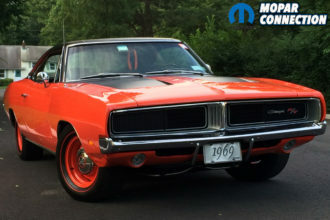 We searched for the parts and came back with a couple that might be of interest to old school and modern Mopar fans. The QA1 booth was huge again, as always, and while we couldn’t forget all the special Mopar goodness of the past few years, such as K-members, control arms, and the A-body six-link rear suspension kit, there was another new product that our friend Damien Brase shared with us. 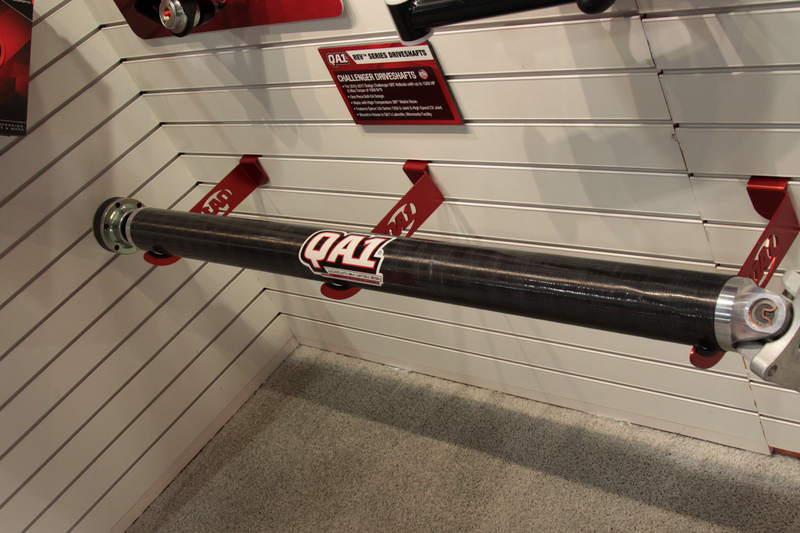 Challenger SRT Hellcat owners can step up their game with a new one-piece carbon fiber driveshaft. 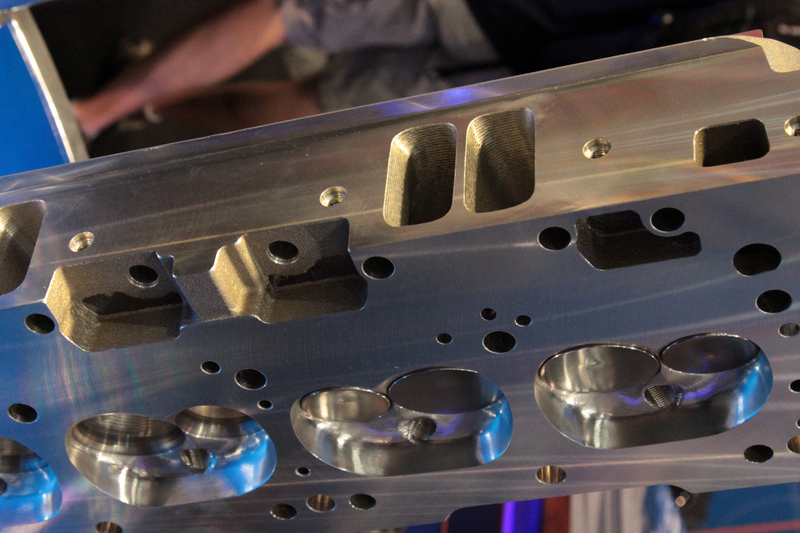 We’re told it’s roughly half the weight of the original, two-piece unit. 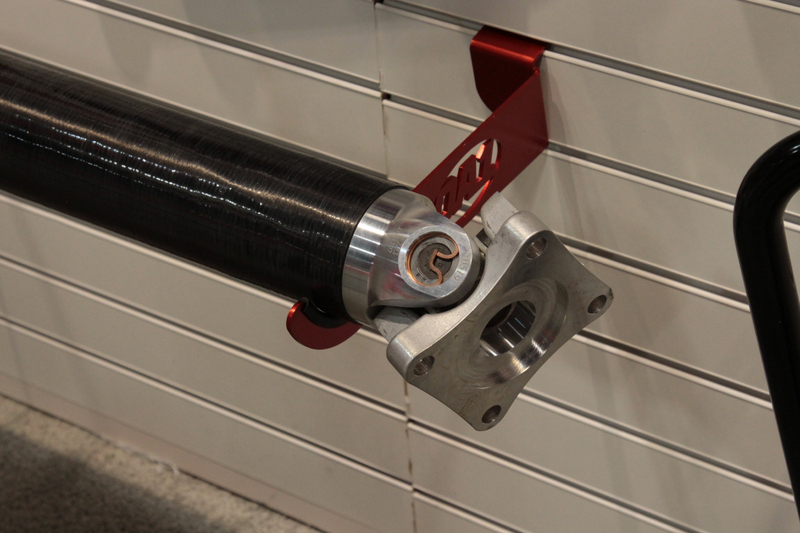 But don’t let that fool you into thinking there are sacrifices, because the QA1 carbon fiber driveshaft is stronger than the original, and will handle up to 1,500 horsepower and 1,000 lb-ft of torque. 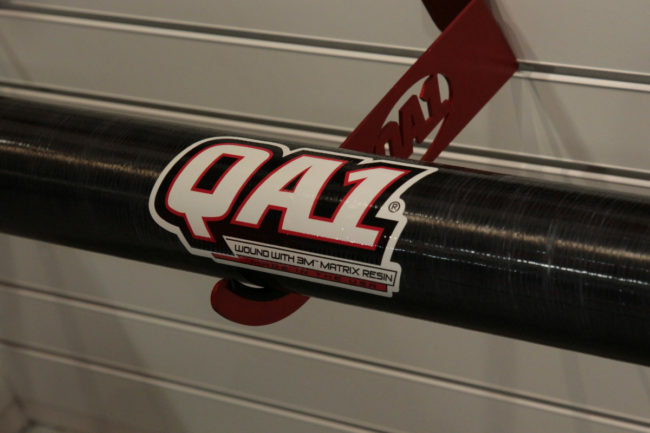 Using its own proprietary bonding process to mate the spun carbon fiber tube to the billet ends, QA1 uses a special winding process that allows the shaft to give a little during those hard, hammer-dropping launches with sticky tires on equally sticky asphalt. The driveshaft is a complete, bolt-in replacement, with a strong CV joint at the transmission end and a 1350-style u-joint and adapter at the opposite end. 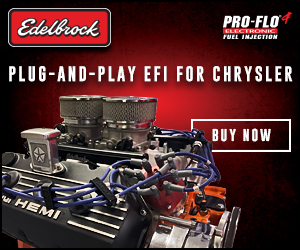 It’s available now, and ready to ship and help you improve your 60-foot times and absorb some of the shock that has factory driveshafts begging for mercy. 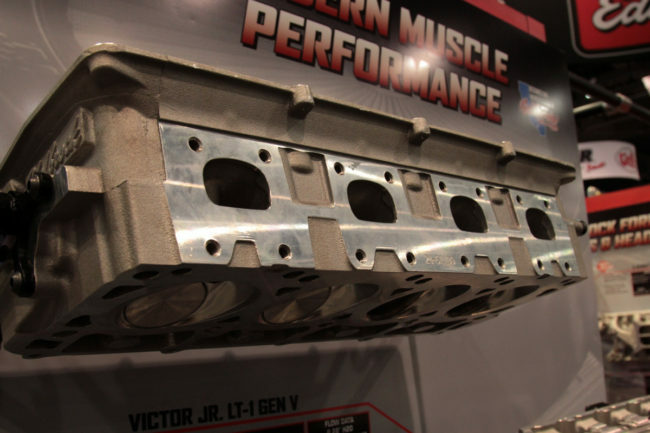 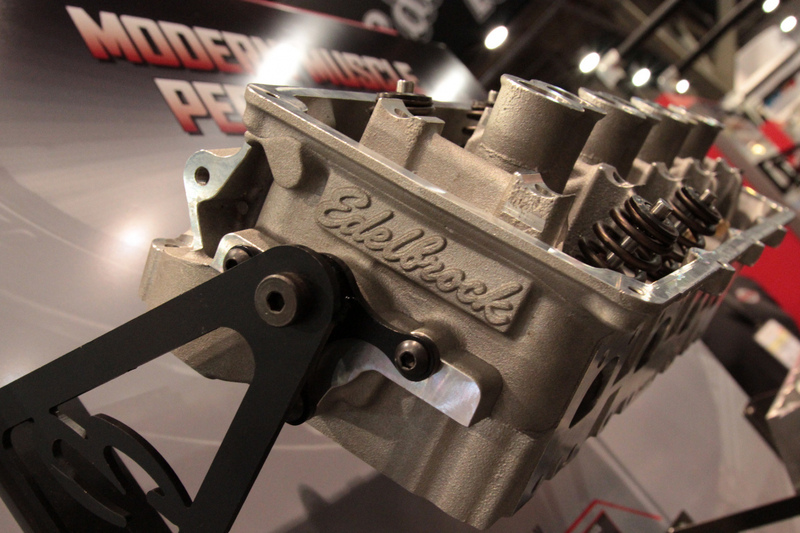 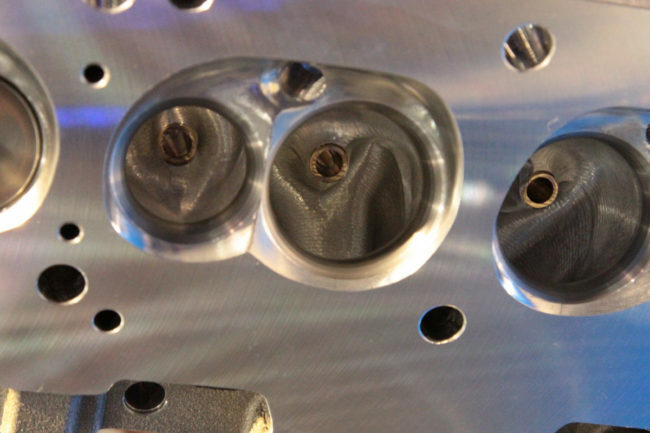 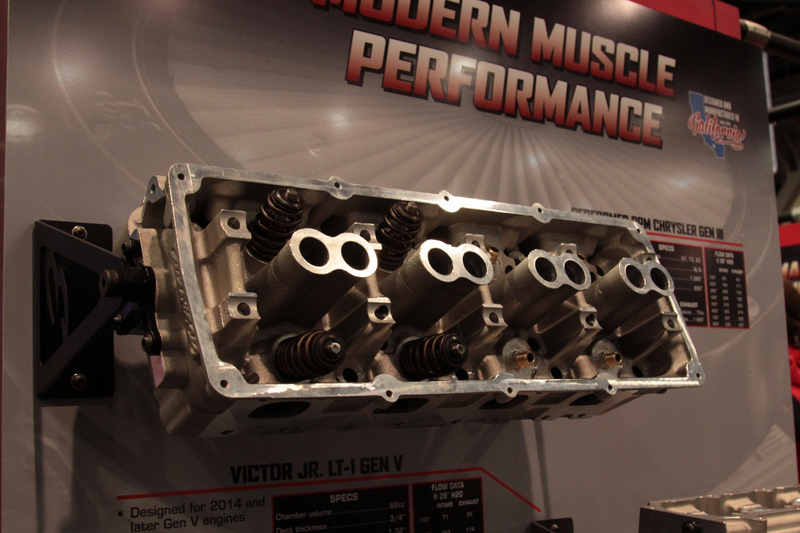 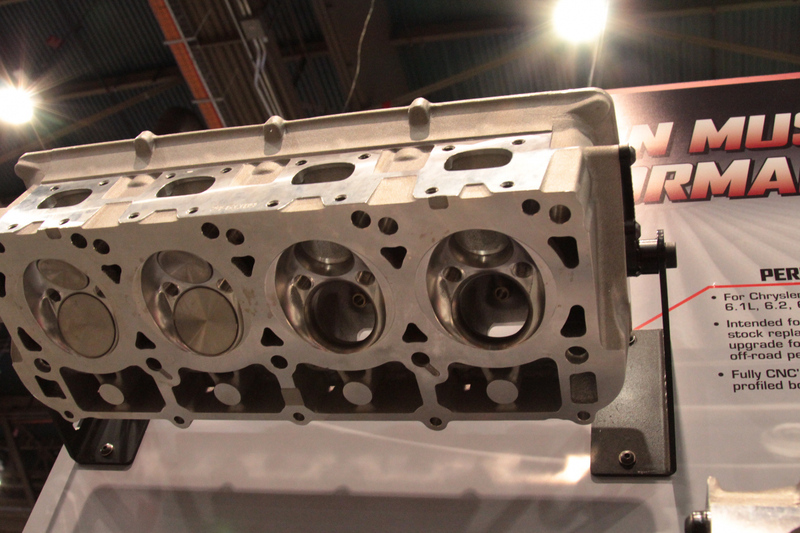 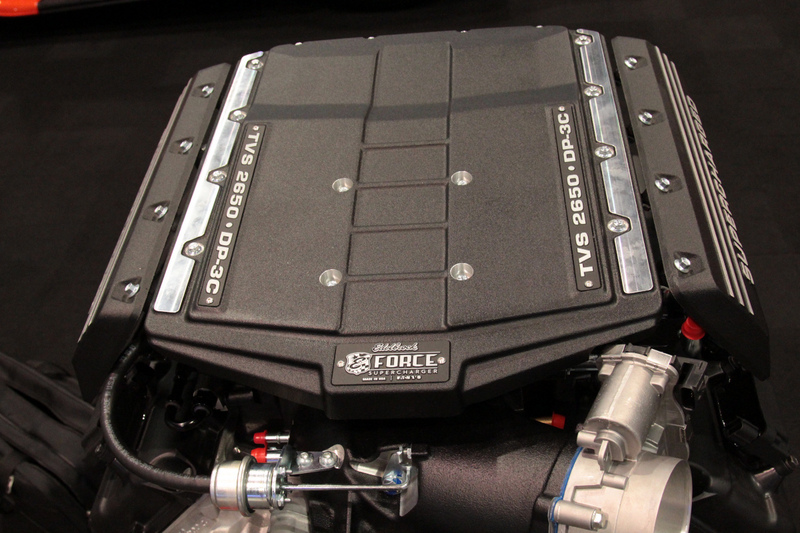 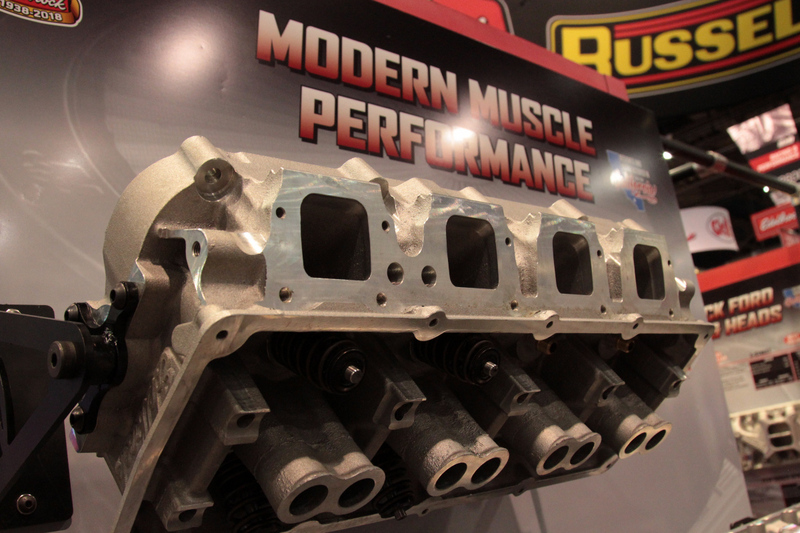 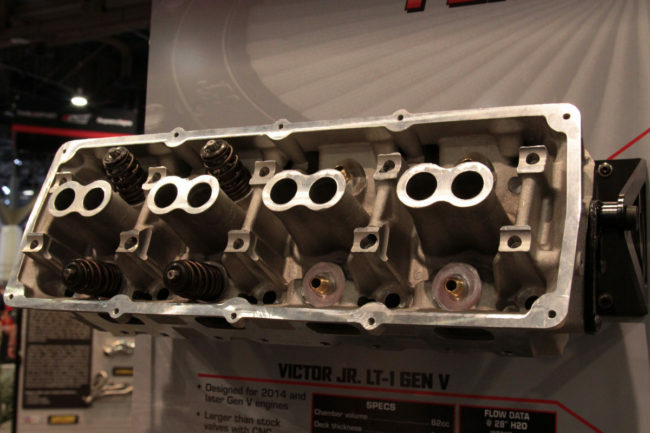 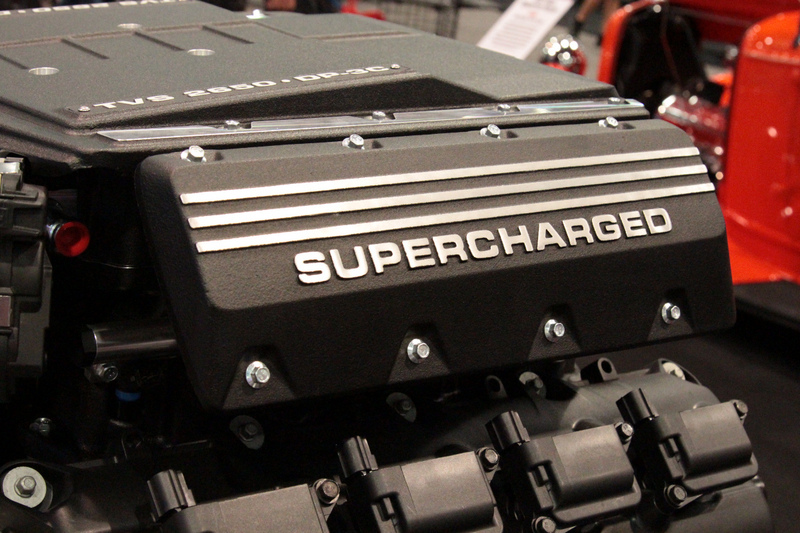 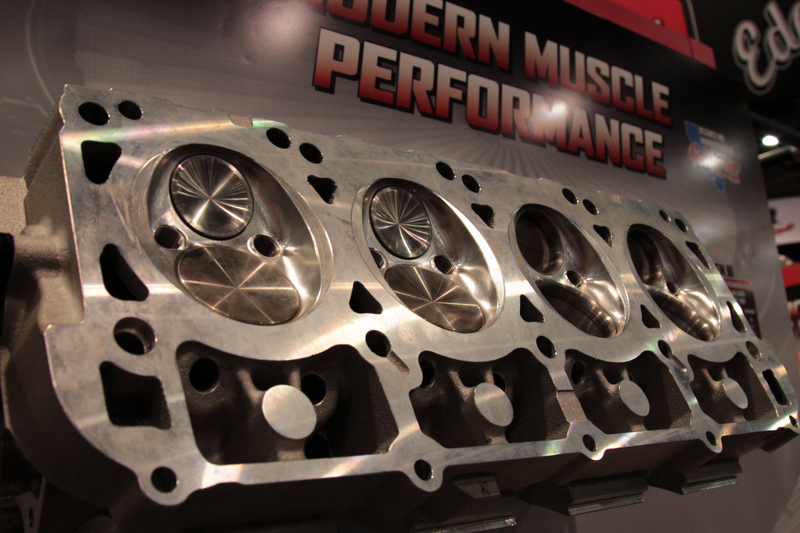 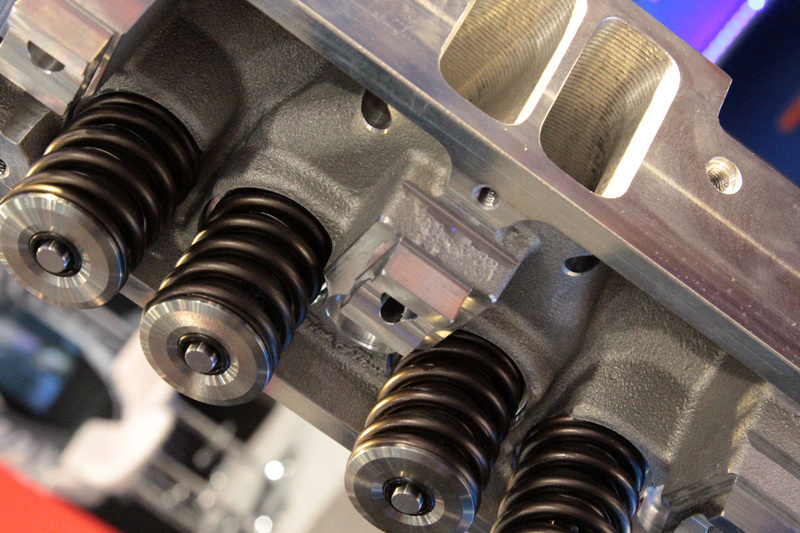 For the Hemi fans, Edelbrock has blessed the Gen III Hemi with Performer RPM aluminum cylinder heads. 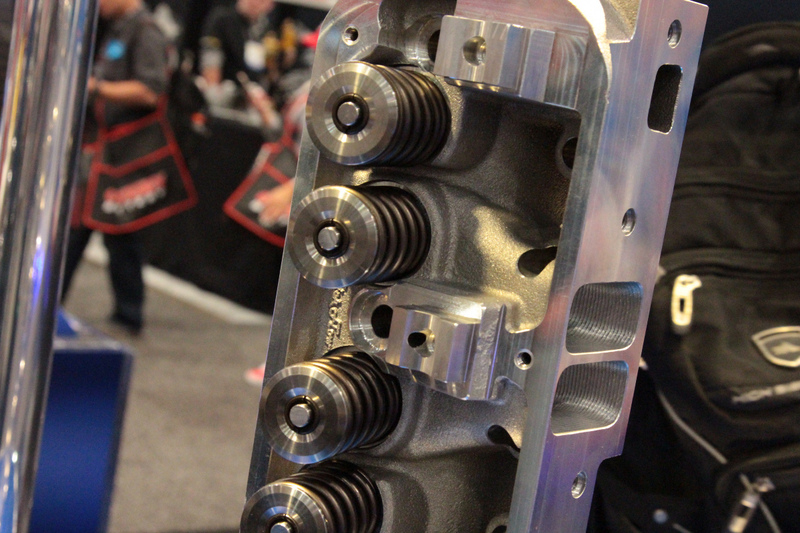 These direct bolt-on heads replace the stock units for performance and off-road applications – meaning they’re not 50-state legal. Expect to see up to 339 cfm intake and 227 cfm exhaust flow at .800-inches of lift (at 28-inches H2O test data). 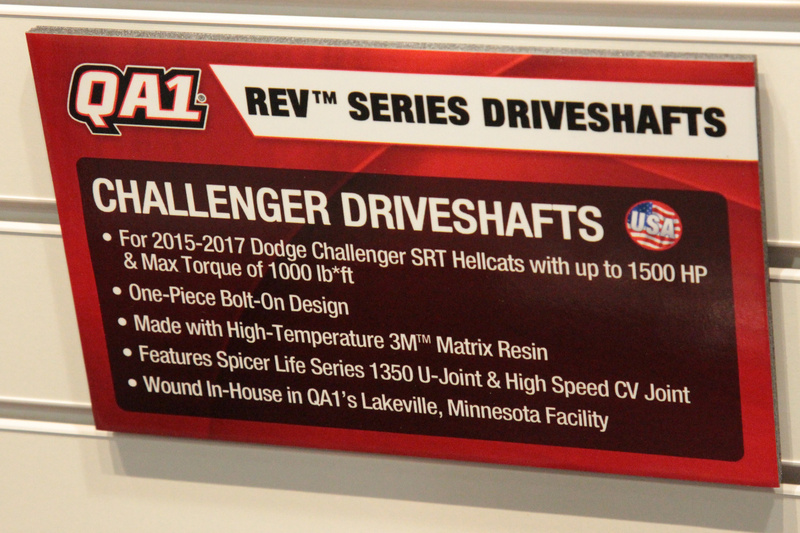 The heads will accept all OE components such as intake manifolds, valve covers, and accessories, including the Hellcat engine. 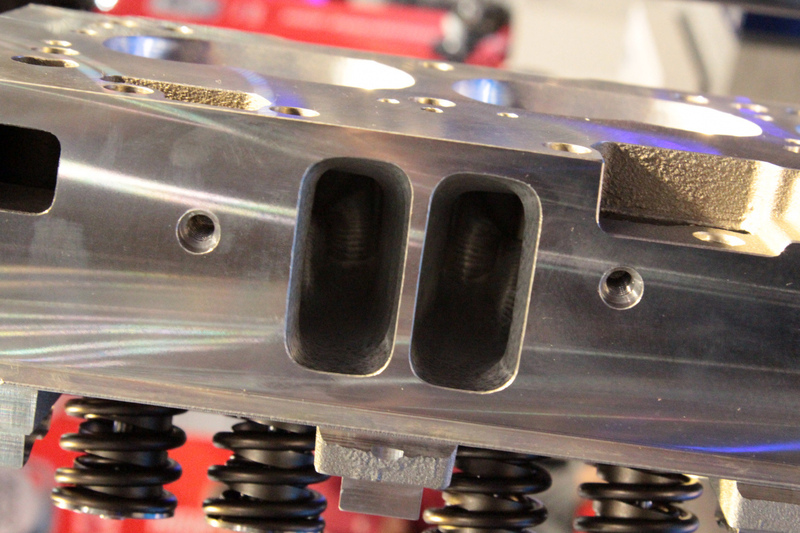 Valve sizing is up from stock at 2.165-inches and 1.650-inches, intake and exhaust, for a port volume of 202cc and 75cc, respectively. 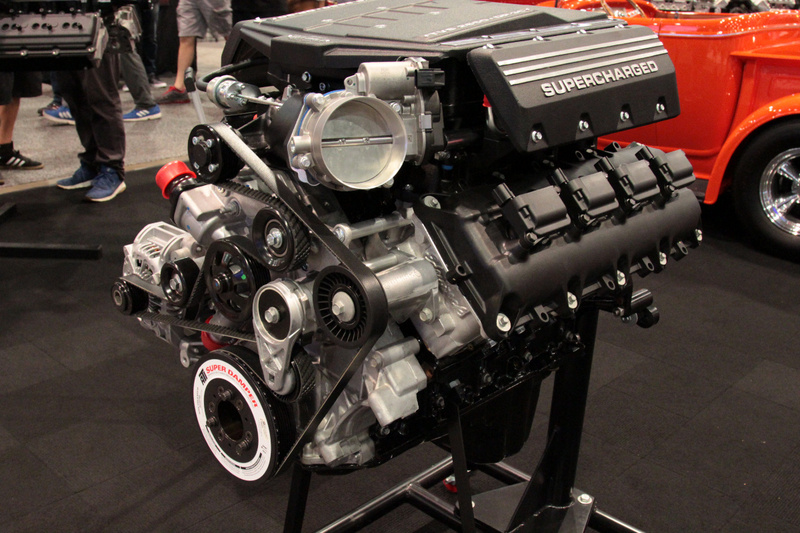 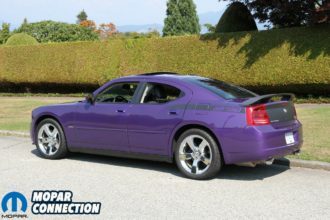 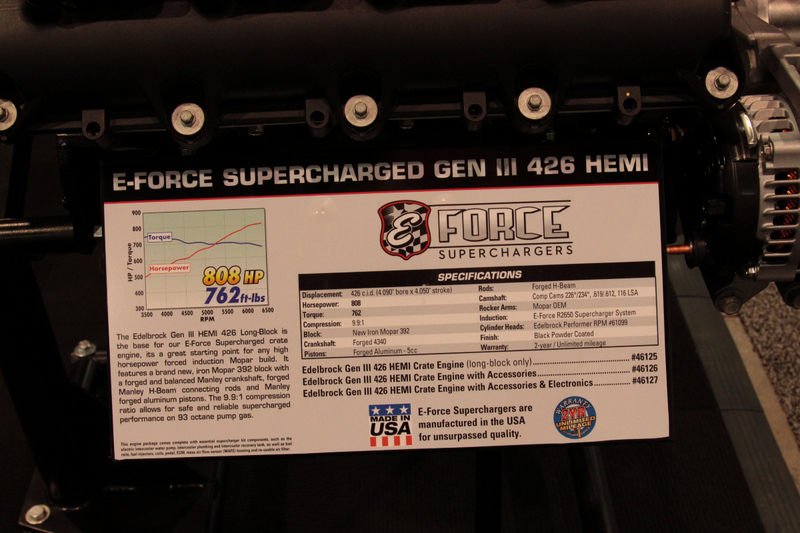 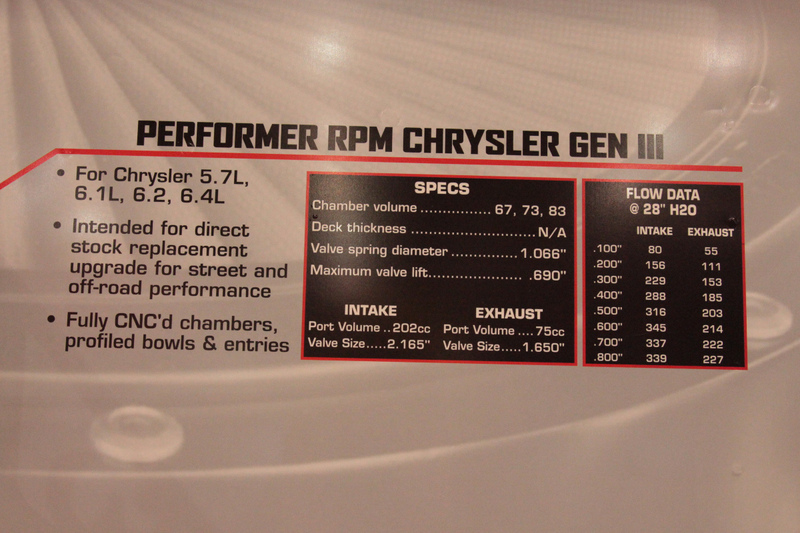 Available for the 2003 and up 5.7, 6.1, 6.2, and 6.4L Mopar Gen III Hemi, you can expect increased performance from the fully CNC’d combustion chambers and profiled bowls and entries. 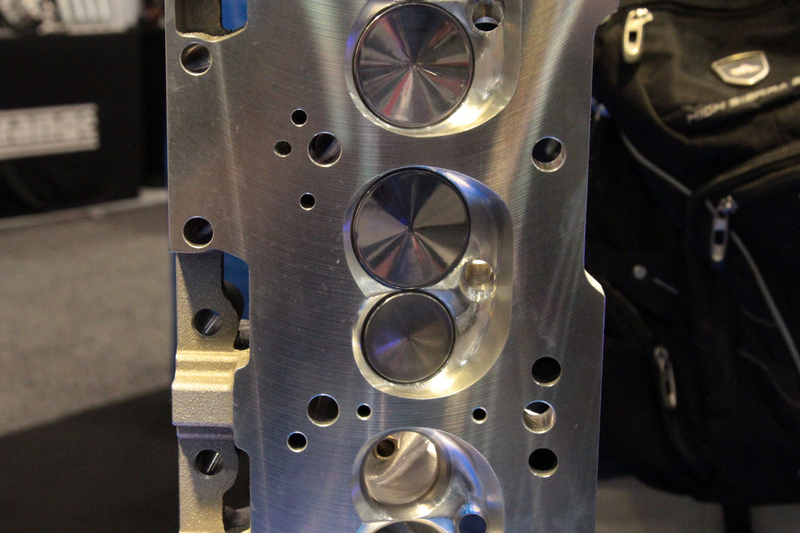 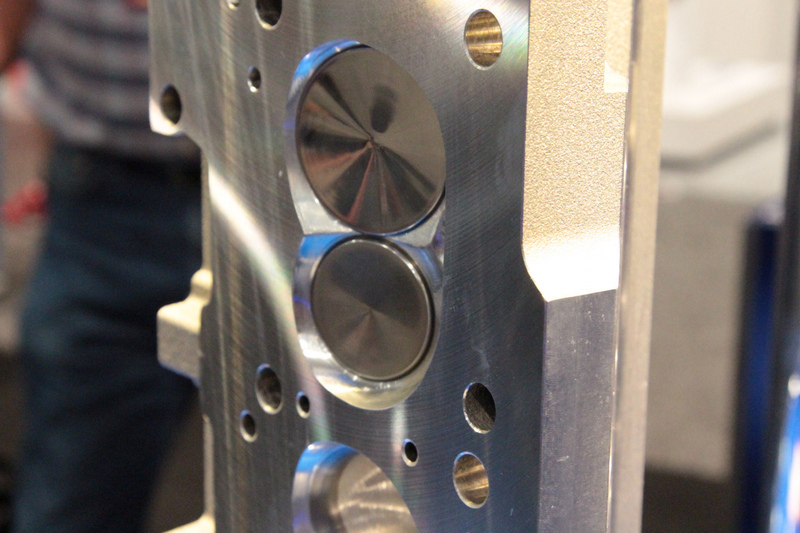 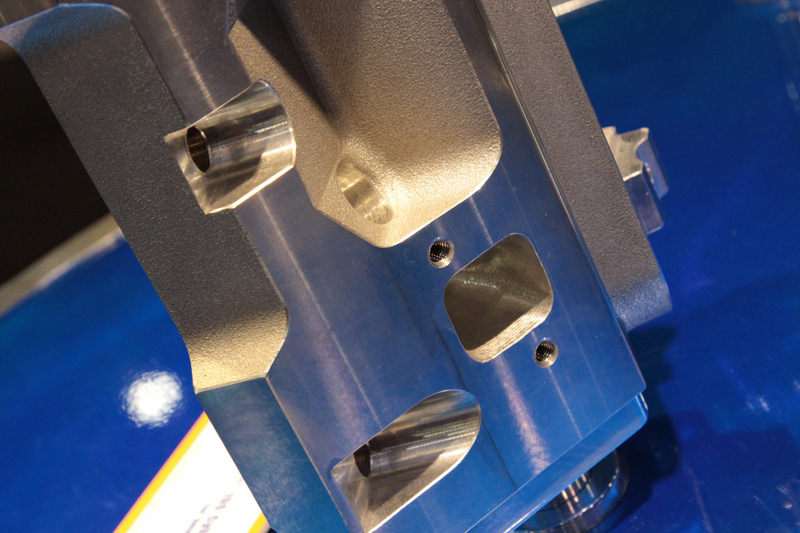 They’re cast from A356 aluminum and heat treated to T6 specifications, with reinforced rocker bosses and combustion chambers for increased cylinder pressures. 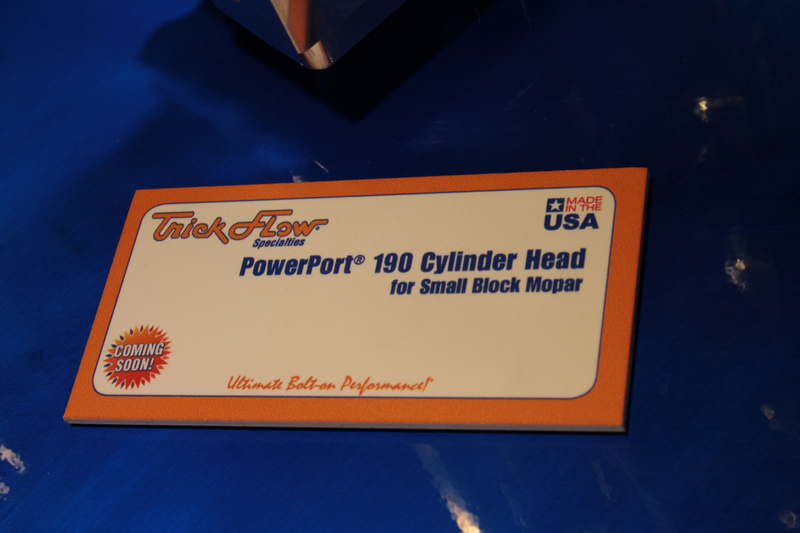 For you old school LA fans, Trick Flow presented its new PowerPort 190 cylinder head for small block Mopars. The head features a 190cc CNC Street Ported intake port volume and a 60cc CNC profiled combustion chamber. 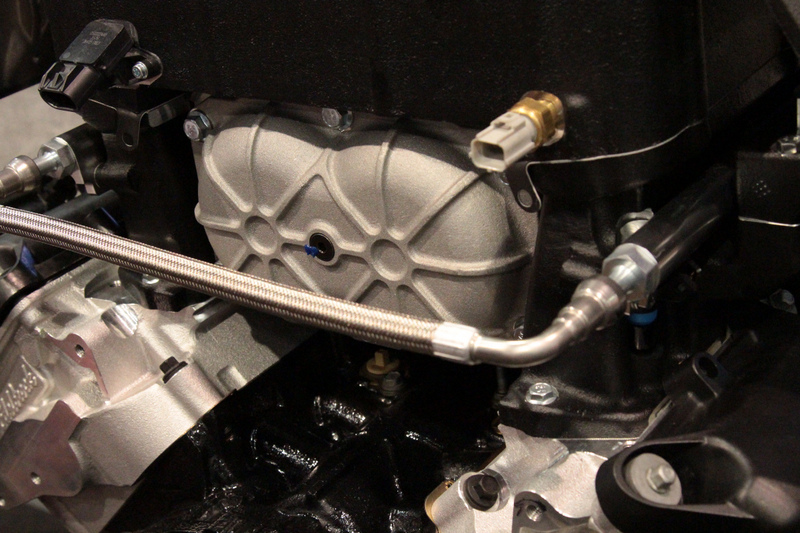 This combination is good for up to 300 cfm intake flow and up to 240 CFM exhaust flow on .700-inches of lift. 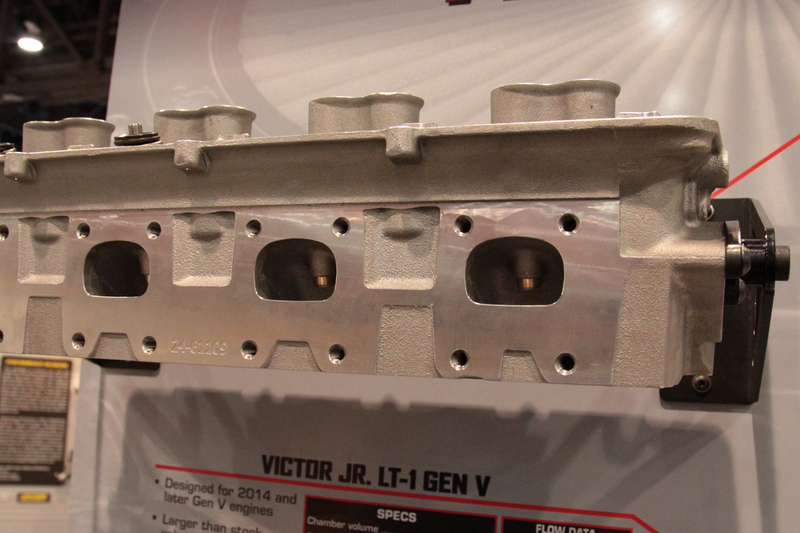 Designed for the 1967-1991 LA series 318, 340, and 360ci engines, these A356-T61 aluminum heads are far lighter than their cast iron counterparts, but every bit as strong. 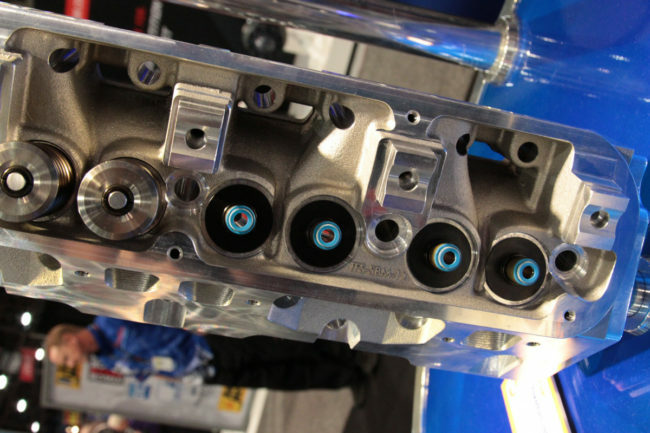 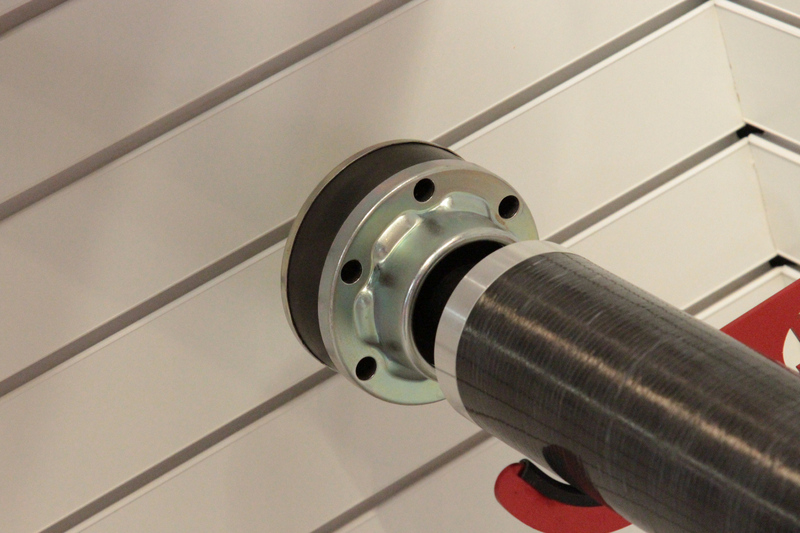 Trick Flow also improved the rocker shaft mounting bosses over the OE design, strengthening them for better performance under higher horsepower applications. The stainless steel valve sizing is 2.020-inches for the intake and 1.600-inches for the exhaust with 11/32-inch valve stems. The PowerPort 190 utilizes OE intake and exhaust mounting locations and 45-degree multi-angle ductile iron valve seats.